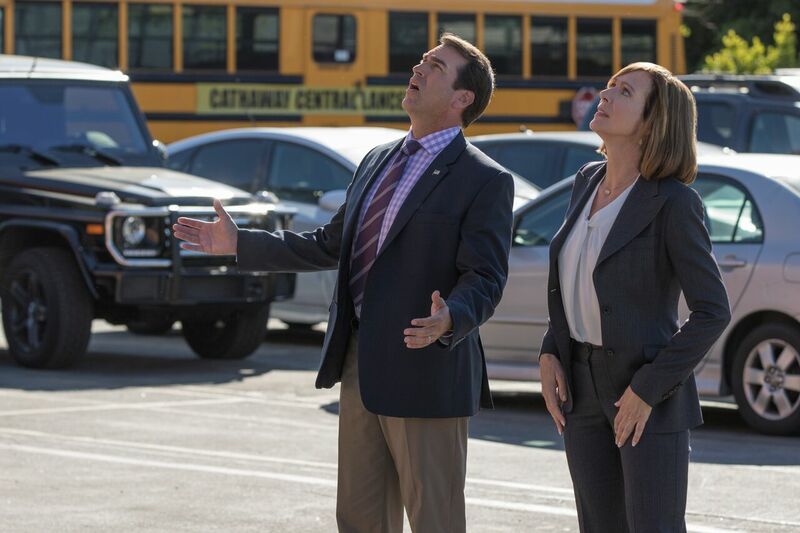 Judy Greer's A HAPPENING OF MONUMENTAL PROPORTIONS is a great deal of fun. 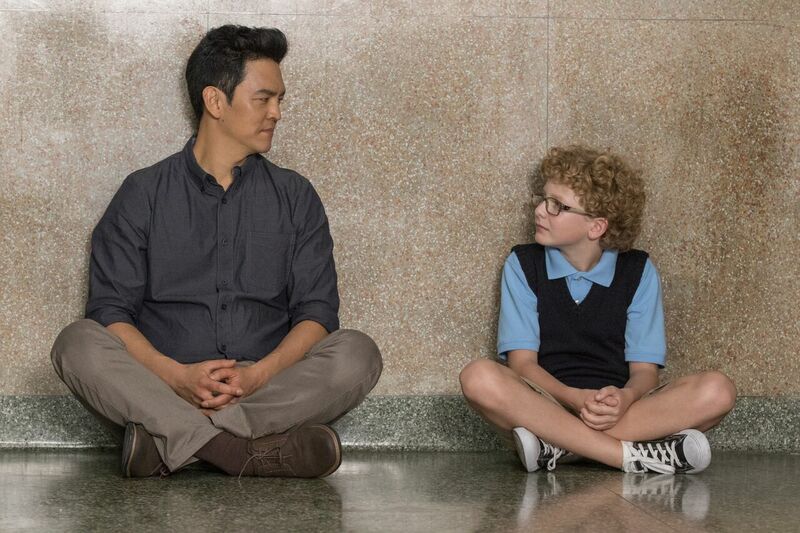 A grand comedy of the lives of various people in and a round a school on Career Day, the film takes a formula that Hollywood hasn't been doing well for years and makes it highly entertaining. I really won't go too much into the plot, way too much happens to explain simply, but the story revolves around Common and his daughter. He works in publishing and is supposed to speak at his daughter's career day. In to the mix add a new kid in class with a crush on Common's daughter, Allison Janney trying to deal with a dead body at the school, a cut power cord in an office kitchen, the discovery of an affair, an angsty teacher teaching little kids about failure and existential crisis, a fist fight and paramedics who really won't help anyone. There is way more going on with the cast of stars, including one surprise cameo at the end and Greer handles it all with near perfection. This is the sort of film where timing is everything and Greer nails it. She keeps pacing tight, the actors under control and the laughs coming. We never have time to look away or ponder how silly it all is, we just smile and wait for the next funny bit. What I really like about the film is that in an age when so many films come out where no one really cares or at least it seems that way from the way things bleed off the screen, here is a film where everyone seems to be having a good time. The broad spectrum of actors who grace the screen actually all seem to want to be there and appear to be having a good time. This clearly wasn't just a paycheck job for anyone involved and as a result we in the audience have a good time. I'm not going to lie and say this is high art, it's not, but it is entertaining. This is film to curl up with a bowl of popcorn, a big drink and some friends and have a good time. Recommended when the film his theaters Friday.